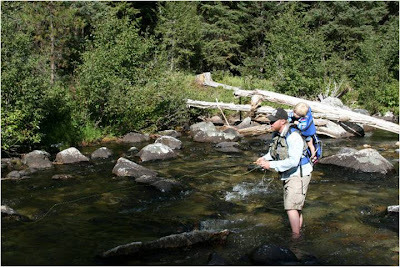 Hellgate Hunters & Anglers: Cheers with a Glass of Cold, Clean Water!! 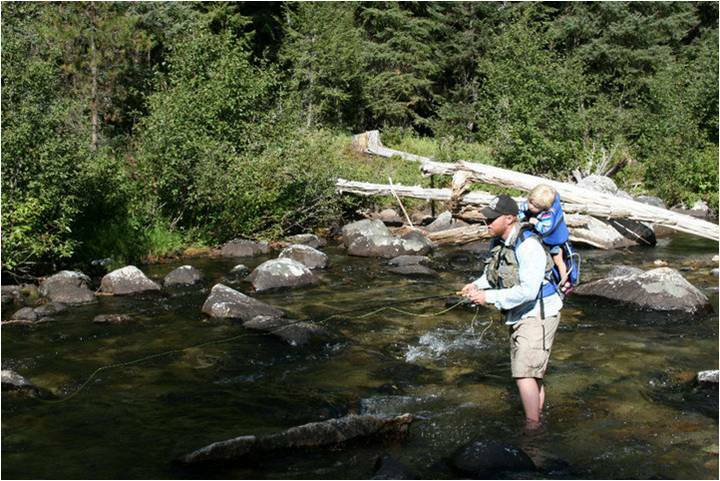 The first time I took my daughter camping we went to Rock Creek, a blue ribbon trout stream just 30 minutes east of Missoula, Montana. My father took me there when I was a kid. Perhaps like him, I realized soon after arriving that I wasn’t going to get much fishing in so after getting camp set up I stole a few minutes on the river. It’s a “blue ribbon” trout stream because it produces fish on a consistent basis and has the cold clean water that trout rely on. After a few minutes I had caught two small brown trout, cleaned them and then brought them back to camp for my daughter, Cidney, my wife, and me to eat. As we were preparing dinner, Cidney had a fish in each hand, inspecting them with inquisitive eyes. Ah, I love seeing things for the first time again through her eyes. I looked down and told her, “You know Cidney, we are going to eat those tonight.” She looked at me, back down at the fish, one more time at me and then took a big ol’ chomp out of one of the fish. I quickly added, “Cidney, we have to cook em first!” She took the fish out of her mouth and just smiled. Today, we celebrate the 40th anniversary of the Clean Water Act, which was signed into law in 1972 with strong bipartisan support to protect waters and wetlands that are vital to people and wildlife. This particular piece of legislation is special to me. 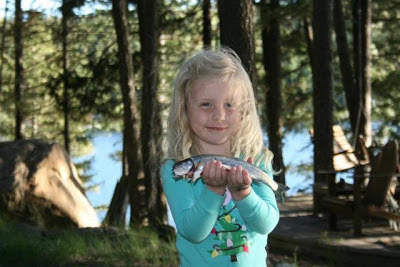 It works to ensure that my daughter will be able catch and eat blue-ribbon trout with her children just 30 minutes from the urban sprawl of Missoula. It is also special because my friend and mentor, Jim Range, contributed to the writing and passage of the Clean Water Act while working for Senator Howard Baker (R-Tenn.), the Senate Majority Leader at the time. While Jim has unfortunately passed on, the image of him casting into the fading sunlight on the Missouri River, a river he helped protect, will always be etched in my memory. The Montana Wildlife Federation played a key role in this great conservation win, mobilizing members and their affiliates to support and defend the Clean Water Act for all of its 40 years. I couldn’t be more proud of our efforts and countless other hunters and anglers from across the country who have made clean water a priority. Our rivers are no longer burning and no longer smelling of odors so foul you’d be crazy to so much as dip a toe in them. This is quite a success story. Sadly, too many take this success for granted. For years now, the Clean Water Act has been under attack in Washington D.C. and across the country. We are losing Clean Water Act protections for stream, lakes and wetlands right at this very moment. Despite the great strides we have made, some of the most important habitats for fish and wildlife are now at risk. 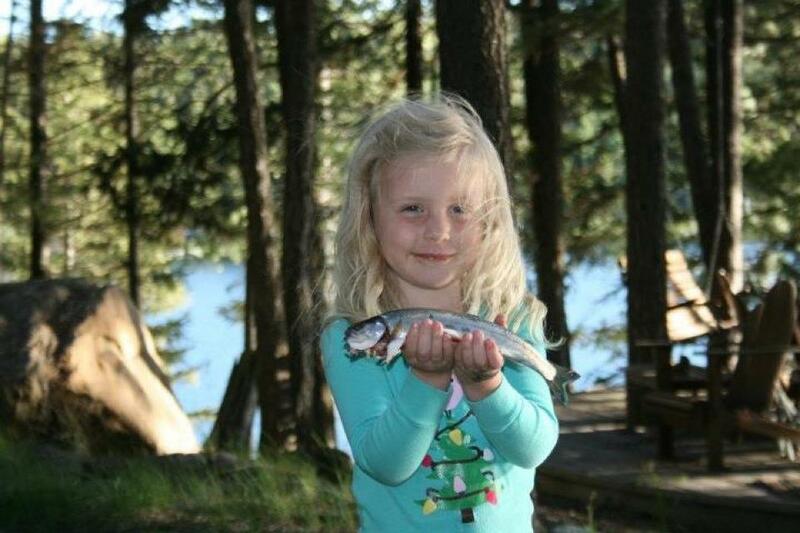 My daughter turned four this year and caught her first fish. Well, let’s say the fish caught her. Her smile says it all. Let us celebrate the 40th anniversary of the Clean Water Act this year and work to make it stronger and while we do, know that a whole new generation of Montana “Sushi Girls” are waiting in the wings, counting on us to provide them with the same opportunities my daughter has today.